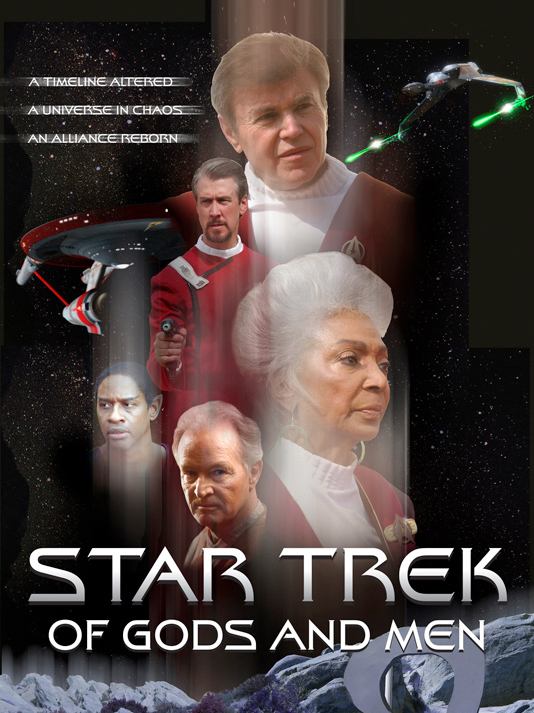 Before there was Renegades: the Series or Star Trek: Renegades, there was Star Trek: Of Gods and Men. And if you are a student of fan film history (or you want to be), this article is required reading. At the time the “modern age” of Star Trek fan films began in 2000, those early projects were pretty much fans-only. Hidden Frontier, Starship Exeter, and a few others would never have dreamed they could use professionals from the entertainment industry. Fan films were just that: fan films. And because of that, people watching these finished projects didn’t really have high expectations. 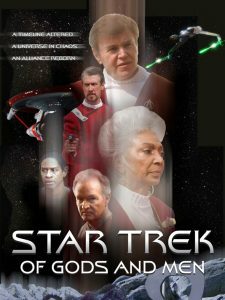 Then in 2004, a new fan series called Star Trek: New Voyages dipped their toes where no fan film (other than Yorktown) had gone before. In their pilot episode, “Come What May,” New Voyages featured cameo appearances by two actors who had minor but recurring roles in the original Star Trek series: John “Lt. Kyle” Winston and Eddie “Lt. Lesley” Paskey. New Voyages‘ next episode, “In Harm’s Way,” featured three Star Trek guest star alumni: Barbra Luna, Malachi Throne, and William Windom. By this point, New Voyages was also using Doug Drexler, who worked on the Voyager and Enterprise visual effects for Paramount, to create their own CGI effects. And a couple of other Star Trek production people were also working behind the scenes on New Voyages, a few of them moonlighting while Enterprise was still on the air! 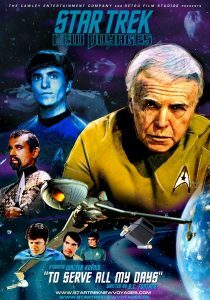 Jaws really dropped, however, when New Voyages announced its third episode, “To Serve All My Days.” This time, the envelope wasn’t simply pushed; it was ripped wide open as Walter Koenig himself agreed to appear as an older Chekov in a direct sequel to the TOS episode “The Deadly Years.” And it wouldn’t just be a quick cameo but a major role in the episode. (Actress Mary Linda Rapelye, who played Chekov’s space hippie ex-girlfriend in “The Way To Eden,” also appeared in this New Voyages episode.) But not only that, the episode was actually written by legendary Star Trek writer D.C. Fontana (who had previously written for TOS, TAS, TNG, and DS9). Sure, the majority of the cast and crew were still just fan amateurs, but getting one of the main TOS series regulars to reprise his iconic role and having a script written by one of the top Star Trek writers of all time…the bar had been lifted quite a bit! And that brings us to Star Trek: Of Gods and Men, which raised the bar clean out of the solar system. This is not to diminish the achievements of the New Voyages team. They blazed the trail and earned their glory, and they continued to dazzle and impress fans for another decade. But it wasn’t just the actors. The script was written by two screenwriters from Deep Space Nine: Jack Treviño and Ethan H. Calk. Also, the director of photography, Douglas Knapp, had worked on Voyager. And to top it all off, this 90-minute “fan” film was directed by none other than Tuvok himself, Tim Russ. How did something like this come about, you might ask? The man behind STOGAM, Sky Douglas Conway, was a close friend of Gene Roddenberry in his later years and also a promoter who ran Planet Xpo, which hosted a number of Trek conventions and special sci-fi events. 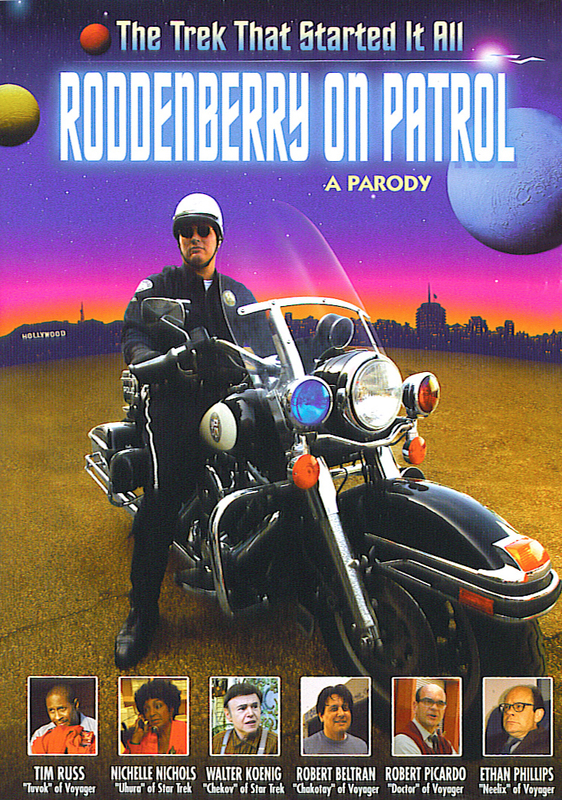 Back in 2003, Conway had released a short film called Roddenberry on Patrol, directed by Tim “Tuvok” Russ and featuring cameos from ten different Trek stars and guest stars from the various series (including Russ himself). The project was more of a parody and tribute to Gene Roddenberry, looking humorously at Gene’s time as a motorcycle cop in Los Angeles in the 1960s and his “inspirations” for various concepts in what would later become Star Trek. As 2006 rolled around, Conway realized that Enterprise had just been canceled the previous year, and when the 40th anniversary of Star Trek arrived in September, there would be no new Star Trek on TV or in theaters for the first time in nearly 20 years! 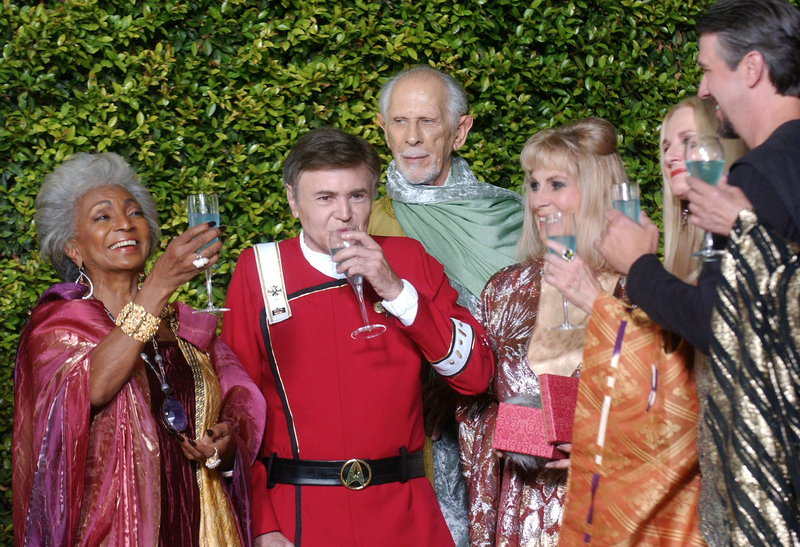 Conway didn’t want to let the 40th anniversary pass without doing something special, and so he decided to unite as many Trek actors as he could convince to do a special fan film celebrating all things Star Trek. Remember that, as a promoter, Conway personally knew many Trek actors, and they were generally quite enthusiastic about the idea. 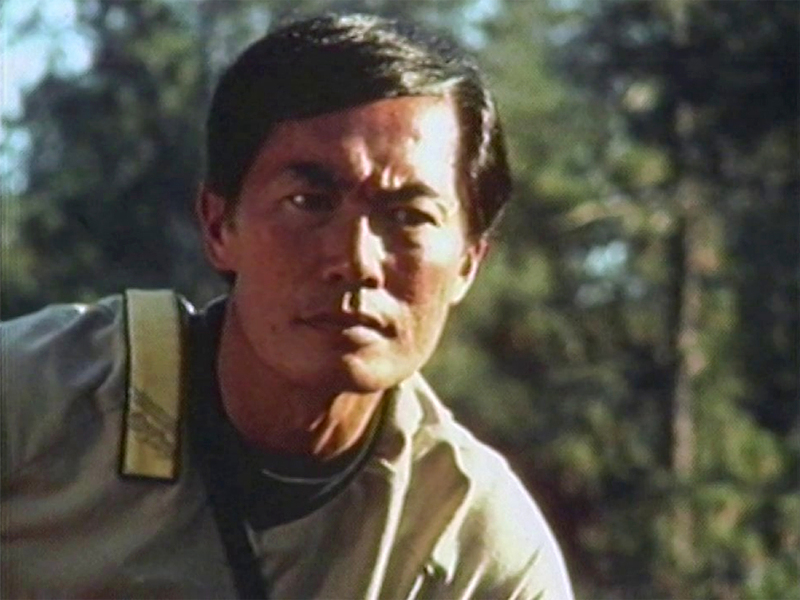 Initially, Conway wanted the story to focus on the “second tier” regulars from TOS: Sulu, Uhura, and Chekov. And while the latter two signed up quickly, George Takei had prior commitments and regretfully was not available to appear in the project. Instead, Conway tapped Alan Ruck, who played Captain John Harriman of the Enterprise-B in the seventh Star Trek feature film, to play the third leading role. 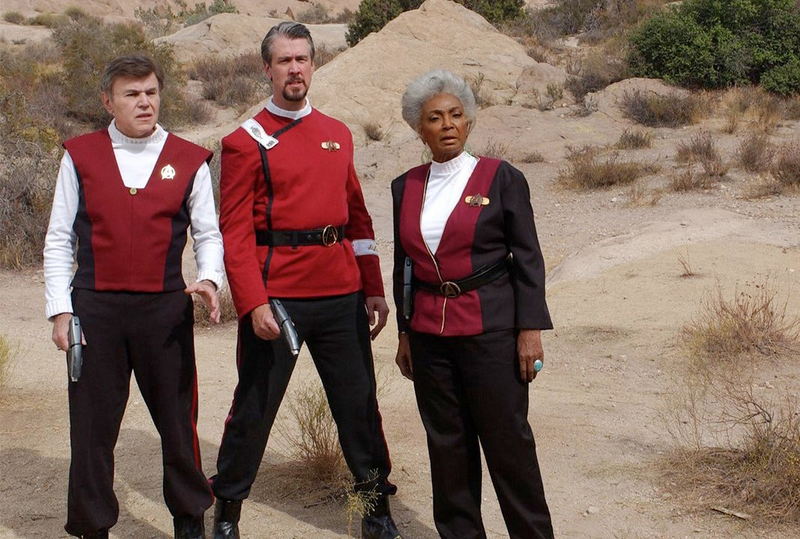 Walter Koenig, Alan Ruck, and Nichelle Nichols. When Conway approached Tim Russ to be in the film, he agreed only if he could also direct it (remember that Russ had previously directed Roddenberry on Patrol). Sold! Russ worked with Conway and writers Treviño and Calk on Conway’s initial story idea to clean up the plot and timeline, as well as editing down material that didn’t need to be shot. But something happens (I won’t spoil it) that thrusts the three lead characters into an alternate reality. It’s not the mirror universe but more of an “It’s a Not-So-Wonderful Life” alpha quadrant where James T. Kirk was never born… and this tense reality is fraught with danger, intrigue, and quite a bit of action. The majority of the 90-minute movie was filmed in less than two weeks during the summer of 2006 at Retro Studios in Port Henry, New York, home of James Cawley’s amazing New Voyages sets of the TOS Enterprise. This was the first time Cawley had allowed his sets to be used by another fan film. A short time later, Cawley would again open his sets up, this time for the pilot episode of Starship Farragut. Other fan films and series would film on the New Voyages sets over the ensuing years, but STOGAM and Farragut were the first. Filming took place in mid-July of 2006 in upstate New York, and reportedly, it was a stiflingly hot and humid two weeks. Shooting couldn’t even begin until 6:00 p.m. each evening due to the excessive heat in the studio. Not only that, but it rained extensively, bringing out bugs and, after dark, bats and skunks (according to comments by Alan Ruck from a 2008 interview in the Daily News). But the actors got it all done. Additional filming was completed in Los Angeles, including at the famous Vasquez Rocks State Park. Total cost of the production was reportedly $150,000 with a good chunk going to pay the Screen Actors Guild members Internet-scale for their time. Most of the rest of the team worked for free or close to free. Initially the plan was to film during the summer months and then release the final film by the end of the year, still in time to celebrate the 40th anniversary. But alas, like so many other fan film endeavors, post-production took much longer than expected, mostly due to the challenges of sound editing and waiting for CGI effect. As the team was completing the finished film, Conway and Russ were also trying to convince CBS to let them distribute STOGAM for a fee, either per download or by selling a DVD. CBS didn’t go for the idea, and STOGAM was ultimately provided to fans for free via the Internet, split into three half-hour segments… the first two ending with cliffhangers, of course. Part 1 was released in December of 2007, part 2 three months later, and part 3 on June 15, 2008. Fan reaction to the film was mixed. However, I just re-watched STOGAM for the first time in a few years, and I actually think the movie holds up rather well. All of the actors, especially the three leads, put in amazingly strong performances. 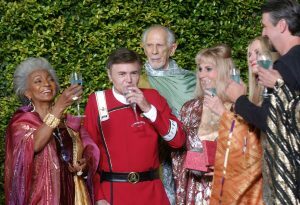 Walter Koenig in particular provided a tour de force portrayal of an emotionally tortured Chekov, and Nichelle Nichols added a depth to the character of Uhura that had never been seen before. Alan Ruck, J.G. Hertzler, Chase Masterson, and Garrett Wang threw everything they had into their roles, and it shows anytime they are on the screen. Likewise, the directing was very strong, with a different camera technique employed for scenes in the alternate reality that makes the film extremely dynamic to watch. Perhaps too much was squeezed into the script, and the big space battle at the end was a little too busy and wound up being more confusing than exciting. But I can overlook these weaknesses because the basic idea was always to celebrate all things Star Trek TOS (or as much as could be fit into 90 minutes). And in the end, STOGAM achieved a professional look and feel that raised the bar for fan films… and it deserves to be watched (or re-watched) for that very reason. Raise a glass to another 40 years! As we celebrate the 50th anniversary of Star Trek, it’s interesting to take a look back on this fan film celebration of the 40th anniversary and think about how far fan productions have come in just those ten short years. Star Trek Continues, Project: Potemkin (and its many spinoffs), Star Trek: Aurora, Starship Farragut, Star Trek: Intrepid, the Red Shirt Diaries, Axanar, Star Trek: Horizon and so many others didn’t exist prior to a decade ago. And of course, Sky Conway and Tim Russ went on to produce the 90-minute Star Trek: Renegades and the still-in-production Renegades: The Series. 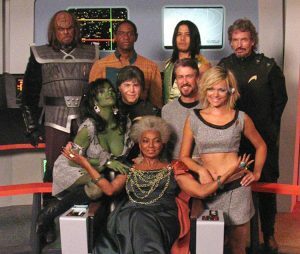 As much as I tend to fall into despair when I think about the new fan film guidelines and their limitations on fan productions, I still like to remember these past ten or fifteen years of Star Trek fan films and marvel at all that was produced. Maybe, somehow, it can be that way again someday. If not, then at least for one, bright shining moment, a moment that lasted for well over a decade, there was Camelot. And that is a gift than can never be taken away from us fans. Click here to watch Star Trek: Of Gods and Men. Okay, on this one, I couldn’t agree more. ST:OGAM is among the TWO best fanfilms ever made (the other being the two episode New Voyages/Phase 2 story: Blood and Fire). Period. End of Story. Axanar pales in comparison to the scope and grandeur of this story. It’s a tight, coherent story that just grabs you, pulls you in and keeps you wondering what’s going to happen to next. It takes fan service that we all loved from NV episode In Harm’s Way, and beats us over the head with it until we love it. I can’t say enough good things about this particular fan film. (I’m sure that surprises a few people on here.) If you haven’t seen it, go out and watch it now. Mr. Lane, I like you. I really do, and I respect you, but you really need to stop worrying about offending people. It is perfectly alright to compare one fanfilm either positively or negatively to another. There is NOTHING wrong with liking one thing over another. It is part of the human condition, and the human condition is what Star Trek was all about. I’m just kinda like Switzerland…or Barney the Dinosaur. Personally, I do prefer Prelude to Axanar over STOGAM, and I also prefer Renegades over its predecessor. But I simply feel there is so much unique to each endeavor that saying that ones pales in comparison to another isn’t fair (at least in my mind). There are so many amazing things about STOGAM, including one of Walter Koenig’s best on-screen performances of his career (and I include Alfred Bester in that list). All the actors did in similarly marvelous jobs. On the other hand, I found the final space battle a little cluttered and the story just a little too long in parts and at the end. But again, that shouldn’t take away any of the greatness of the film. You’re welcome to disagree, of course, and place STOGAM on a higher platform. As for worrying about offending people, well, I sorta wish more people on Facebook shared that philosophy…but perhaps that’s human nature, too. Oh, and I like you, too, Cobalt. I’m happy to know folks are reading what I write and actually feeling engaged enough to comment…either positively or negatively. So I thank you for that. Previous Previous post: CHANCE ENCOUNTER continues shooting this weekend! Next Next post: RENEGADES Indiegogo crowd-funder closes in on $100,000!